Common analytical wisdom that the U.S. sanctions against Iran would cause crude prices to skyrocket was challenged on Monday with West Texas Intermediate settling down despite news of declining Iranian exports - and amid speculation that increased output from Saudi Arabia and Russia may compensate for the shortages after all. WTI settled down 21 cents to $67.54 per barrel, while Brent rose 35 cents to $77.18 per barrel. Monday's trading was conducted as South Korea became the first of Iran's top-three oil customers to fulfill a U.S. demand that buyers cut imports to zero, ahead of a November deadline for the implementation of fresh sanctions. Speculation that the Saudis and Russia will fill in any supply gaps was said to have stymied a rally, and Gene McGillian, VP of market research at Tradition Energy, noted that investors will be watching to see if "the Russians and the Saudis continue to put more oil on the market: that will basically negate some of the worries about tightening supply." WTI's modest losses on Monday were also said to have been influenced by expectations for a supply rise at the key U.S. storage hub at Cushing, Oklahoma, contradicting an earlier report from Genscape. While these events were further evidence of an emerging analytical mindset that fears of a global market tightening may have been overstated, that didn't prevent Harry Tchilinguirian, oil strategist at BNP Paribas, from warning that "A higher oil price scenario is built on lower exports from Iran due to U.S. sanctions, capped U.S. shale output growth, instability in production in countries like Libya and Venezuela, and no material negative impact from a U.S./China trade war on oil demand in the next 6-9 months. "We see Brent trading above $80 under (that) scenario." However, world powers are maneuvering to ensure stability in the global market: Alexander Novak, energy minister for Russia, will meet with his U.S. counterpart Rick Perry on Thursday to discuss oil and gas markets, as well as the activities of Russian companies in the United States and of U.S. companies in Russia, according to a statement released by his ministry on Monday. 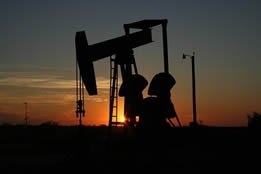 Also, Interfax on Monday cited Novak as saying the Organization of the Petroleum Exporting Countries (OPEC) deal to cut crude output would be implemented in September at the same level as in August and July, suggesting that global inventories are healthy for the time being. As far as risk management firm DNV GL is concerned, worries over a tightening market are moot anyway - that is, if one is looking at the long-term picture. DNV GL on Monday stated that global demand will peak in 2023 as electric vehicles become competitive with petrol and diesel-fueled cars, and after 2040 no new oil developments will likely be needed. The risk management firm believes that by around mid-2030s, EVs will account for half of all new light-duty vehicles sold in the world, and 10 years later half of all road transport will be electric. Interestingly, wide speculation of oil climbing into the triple digits has all but been obliterated over the course of just a few months: this summer, Core Laboratories and Bernstein Research were two of many organizations that believed crude would, for various reasons, soon reach peaks of $150 per barrel and higher.